The UNIFLUX Helical Coil heater design was developed to provide superior uniformity in heat transfer to thermally sensitive process fluids. 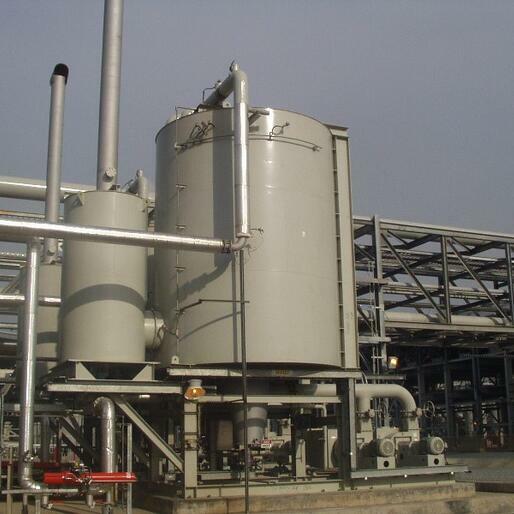 The loose wound helical coil design in conjunction with high velocity short flame burner arrangement encases the process tubes with completely combusted flue gases. This allows for uniform transfer of heat around the process tubes without extreme temperatures in localized areas. 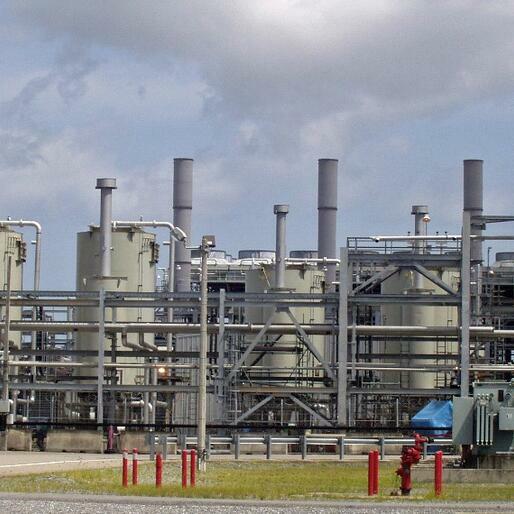 This also allows for entrainment of cooled flue gas back into the hotter main burner discharge jet stream. 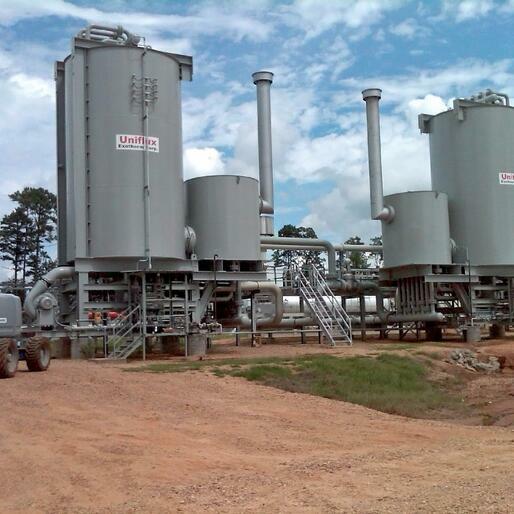 This mix of cooled flue gas with hot combustion products reduces the overall bulk temperature without the use of an external recirculation blower. 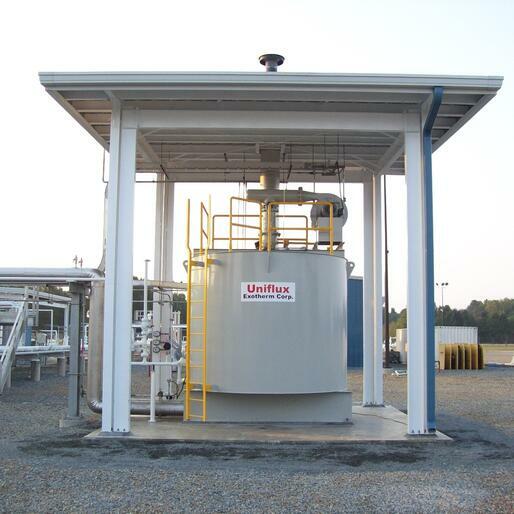 The UNIFLUX Helical Coil heater design is ideal for heating heat transfer fluids and specialty chemicals that may be sensitive to over temperature or fluid degradation. Synthetic heat transfer fluids such as Therminol and Dowtherm are common application for the Uniflux Helical Coil heater, as well volatile gases such and Natural Gas, Hydrogen, and various chemical mixtures. 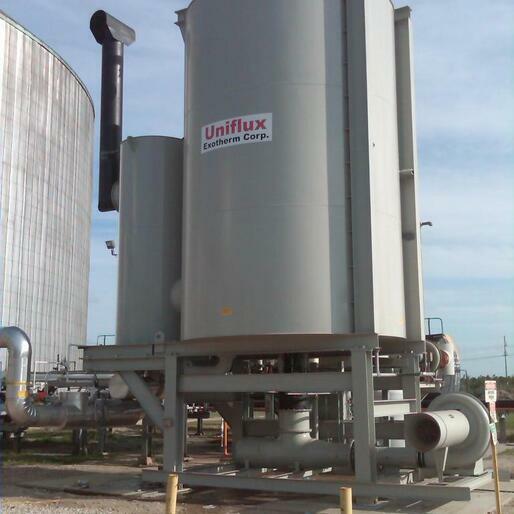 The UNIFLUX heater can be using process coil materials from carbon steel to exotic high alloys to meet the specific process requirements. 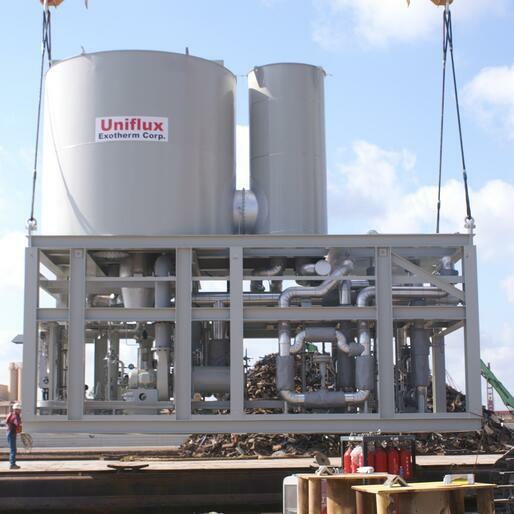 The compact footprint of the UNIFLUX Helical Coil heater makes it ideal for all applications, whether at a plant facility or on an offshore platform. 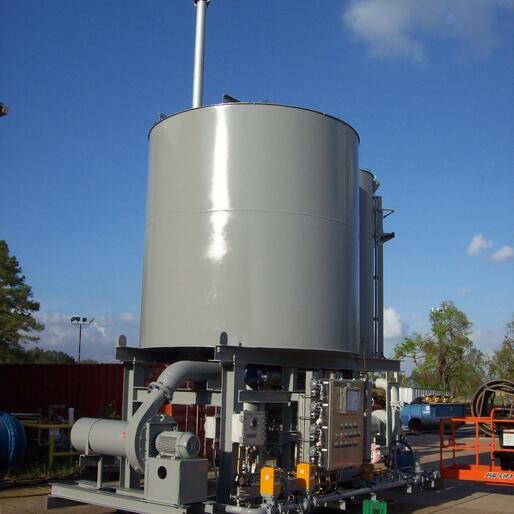 The low flux rate convection heat transfer extends the life of the heat transfer coil to provide a durable heater that will operate for decades with minimal maintenance. 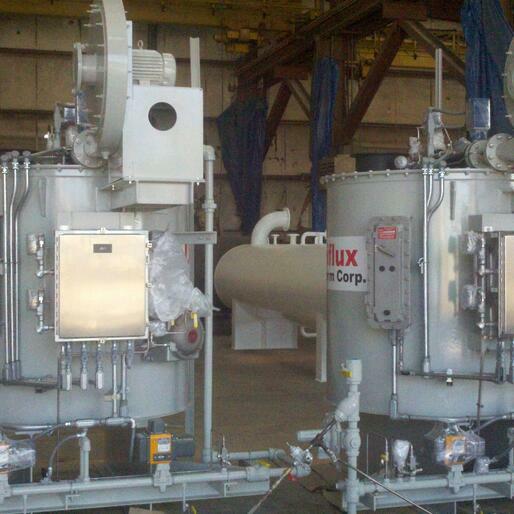 UNIFLUX heaters are completely assembled and factory tested. Our factory tests include all control sequencing and interlock verification. The factory test also includes a complete burner light off and transition to main flame firing for ease of installation and start-up/commissioning. 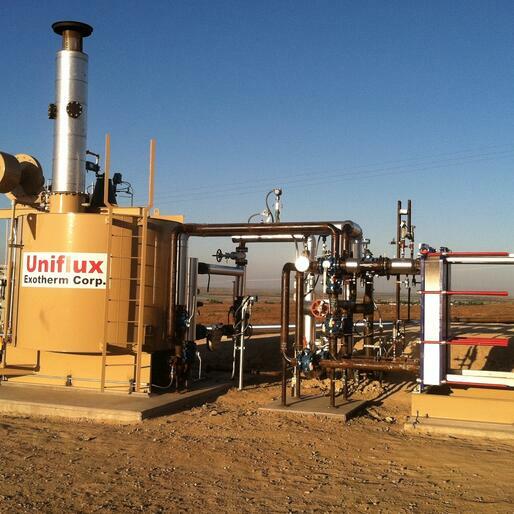 Up fired UNIFLUX Helical Coil Heater with economizer. 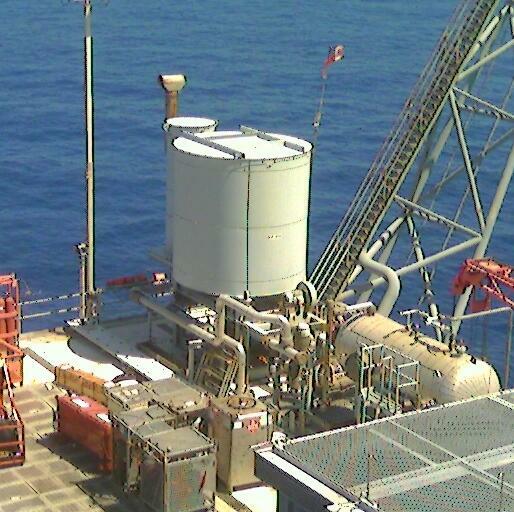 Down fired UNIFLUX Helical Coil Heater without economizer.